Sfeervolle live-opnames gemaakt in 1970 in de cantina El Patio (niet van Rosita) in Piedras Negas. Typische, authentieke ballades vol nostalgie en smart, of levensliedjes Tex-Mex stijl. Van 'El Desesperado' tot 'El Contrabandista' maar ook 'Los Tequileros' ? Recorded live at cantina El Patio in Piedras Negras, Coah. in the 1970s. Although thirty years old, this is the only live recording ever made by a typical, authentic Norteño conjunto on their home turf in a cantina, singing mostly historic and true narrative ballads from the Texas-Mexico border. This CD includes the original LP album plus a number of previously unissued selections. The LP was also the very first Arhoolie release of this delightful, lilting, regional Mexican country music. “If Robert Johnson’s diagnosis that ‘the blues is a lowdown achin’ heart disease’ holds up internationally, then the poor Pingüinos del Norte are ailing something fierce. Just don’t tell then, since this sun-baked three-man squad has a ball exorcising their trouble. Nonetheless, the telltale symptoms are there: the bitter taste of love and assorted evil in the singers’ mouths, and the band’s cathartic need to unload their burden. 2. 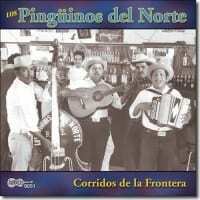 AllMusic - Ronnie D. Lankford, Jr.
Los Pinguinos del Norte played and plays a style of music commonly (or at least once commonly) heard by the working-class poor -- at several pesos per song -- in Mexican cantinas. Corridos de la Frontera was mostly recorded by Chris Strachwitz of Arhoolie in 1970, and features accordionist-vocalist Rubén Castillo Juárez, guitarist-vocalist Hilario Gaytán Moreno, and bassist Ricardo Escalante. 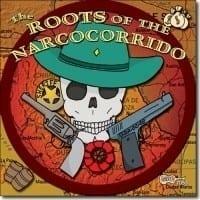 The "corridos" tell heroic folk stories about men, according to Rumel Fuetes, "who are liberal, individualistic, arrogant, and who have no fear of death." "Benjamin Argumedo" recalls the capture of the revolutionary hero of the same name, and how, when presented to General Murguia, he asks to be shot in front of "all the people." Although his request is not granted, he has made his point: he's a real man and not afraid to die. Simple arrangements adorn each of these songs, with accordion, guitar, and bass providing a waltz-like backdrop for the intertwining voices of Juárez and Moreno. Some of the stories, like "Luz Arcos," are filled with violent shootings, reminding one of an old Western. The easy cadence of the accordion, however, keeps these happenings from seeming too heavy or depressing. Indeed, it's not unlike listening to a Mexican version of "Tom Dooley" or "Pretty Boy Floyd." This is a collection both rich in history and -- for those who can't make it to a Mexican cantina -- enjoyable to listen to.